If you thought the City of Good Neighbors was just some fancy nickname, think again. Here’s a story that will melt your heart. 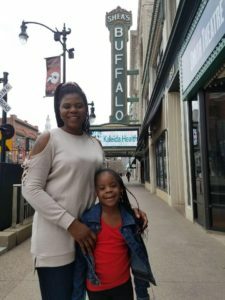 Vera, a woman from Nigeria, came to America two years ago to find a better life for her daughter, Annais. She had to make the first part of the journey on her own and thought she would be able to bring her daughter back a few months later. Sadly, a few months turned into a few years. While she patiently waited for good news, she sought employment at Zoom, a digital printing and design company in Buffalo. She shared her story with the owner, Rory Allen, who decided to give her a shot. “I happen to be the product of a single mom who put herself through school, so I wanted to help Vera. I try to be flexible with her schedule because I know she’s going to do really well someday, she just needed someone to help her now,” he said. And so Vera began her employment at Zoom while working tirelessly to get her daughter home from Nigeria. Annais was in her grandmother’s care, but the quality of life in Nigeria isn’t like it is in America. What we take for granted, the people of Nigeria only dream of, which is why Vera wanted to start a life here. 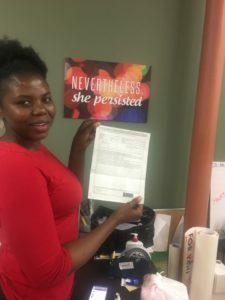 Allen saw how much it meant to her to have her daughter back, so last year he helped raise $1,000 to help her with some of the costs of travel. “We all chipped in and people were curious when she was coming home, but it took a really long time. What many don’t understand is you don’t just decide to do such a thing; there’s so much involved,” said Allen. So when Vera finally got some good news and asked Allen for a month off from work, he happily obliged. It took two whole years for Annais to make it to Buffalo, but she’s finally here. 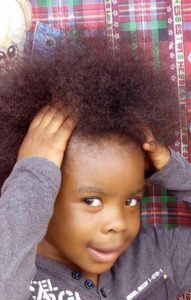 She was welcomed with open arms by the Zoom family and from strangers who reached out to help when they heard about her story. 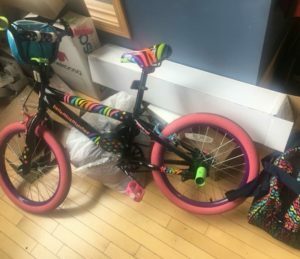 Today Annais received gifts like a bike and backpack for her second day in the United States. 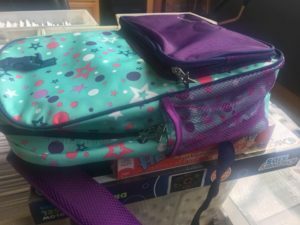 “She starts Kindergarten on Monday and is much closer to being ready thanks to these two,” said Allen, referring to his friends, Megan Beecher Cavanaugh and Roni Burgundy, who purchased the gifts for Annais.